“The notion of public service has been bastardised today and public office is now treated like a restaurant where people are invited to “come and eat.” To steal public funds in today’s Nigeria is made to look like winning a lottery. Family members, political associates and friends are invited to come and celebrate. Sometime ago, a well-respected university professor said that corruption has become the Grand Commander of the Federal Republic. Theft has spread right down to every level of society. When Christians go to church today they are warned to watch their pockets and handbags when we kneel and pray. No one goes to the mosque these days in a pair of shoes he cannot afford to lose“. The broken windows theory is a theory in criminology and social psychology that deals with the effect of urban disorder and vandalism on crime and anti-social behaviour. First introduced by the Harvard social scientists James Q. Wilson and George L. Kelling, the theory states that maintaining and monitoring urban environments to prevent small crimes helps to create an atmosphere of order and lawfulness, thereby preventing more serious crimes from happening. The simple summary of this theory is that if a window in a building is broken and is left unrepaired, all the rest of the windows will soon be broken. This is what happens when people have disregard for the common good. It is a statement of what happens when wrongdoing is not corrected as soon as it is noticed, which leads to further wrongdoing. The resultant effect is the enthronement of lawlessness, disorder and the celebration of impunity in the society. Nigeria is one country which best exemplifies the broken windows theory in the management of its affairs. Through complicity, acquiescence, indifference, adjustment and withdrawal into personal and communal enclaves, into primordial zones of religion and family, through pious silence and millions of ways, we have grown the enemy that have held us down. Regionalism, religion and ethnicity still weigh heavily as determinants in the choices and appointments of political officers. And because we are unable to devote time, energy and attention into examining and understanding more closely the nature of the contested memories that have become part and parcel of our national history, we have been unable to create a free and harmonious society where people can aspire to whatever position they want and where they can make their own contributions to the growth of the nation and the common good. We are currently living in a country where there are no notions of commons. The common good has been bastardised by many years of government’s failure to provide public service infrastructure for the people. Today, instead of working to restore order and sanity to the nation’s public service system and institutions, Nigerians have resorted to providing for themselves services that were once the responsibility of government. 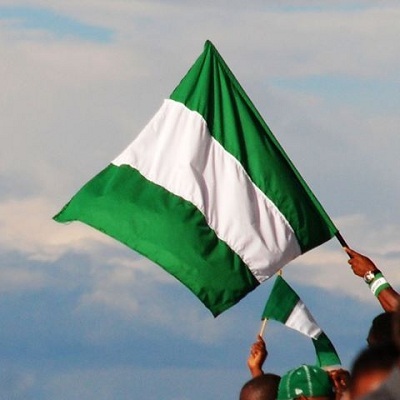 If Nigeria works today, it is not because of the government, but in spite of it. The citizens have learned how to bypass the formal political structure in order to meet their basic needs. If there is no public power supply, we buy our own generators and install our own inverter systems. If there is no public water supply, we sink our own boreholes. If there are no good roads, we buy our own four-wheel drive and repair the road leading to our own houses. If there is no security, we secure our houses with electric fence and employ our own security guards. If the public schools are bad we send our children to private schools and employ the services of qualified home tutors. If the hospitals are bad, we seek medical attention overseas (for the rich) or resort to the services of traditional herbalist and spiritual healers (for the poor).The tragedy with this kind of situation is that people no longer care for the common good. As long as they are able to provide for their own personal needs, public goods can suffer. After all, we often hear it said: “Government property is nobody’s property.” The result is a people who have learned how to cope with inefficiency, mediocrity, impunity and injustice in public service delivery, without any desire to hold our public officials accountable. Too often we the Nigerian people encourage the criminality of our rulers by bowing to their whims and caprices. We invite their disdain by denying ourselves any claim to self-respect. We court their oppression by readily offering them our backs to ride upon. We cow when we should kick; we temporise when need to toughen up. We smile when we should smite. In the end, we encourage them to convert the immunity enshrined in the constitution into impunity, which has today become the directive principle of state policy. In the past, politics used to be a noble vocation where people of sound minds linked hands to work for the common good of the nation. Today, the idea of politics being ordered for the public good has become the pastime of a bygone era of political morality. To enter into politics in Nigeria is often seen as starting a business venture. A politician who does not end up a multi-millionaire is regarded as a fool, and not many Nigerians want to be fools. The notion of public service has been bastardised today and public office is now treated like a restaurant where people are invited to “come and eat.” To steal public funds in today’s Nigeria is made to look like winning a lottery. Family members, political associates and friends are invited to come and celebrate. Sometime ago, a well-respected university professor said that corruption has become the Grand Commander of the Federal Republic. Theft has spread right down to every level of society. When Christians go to church today they are warned to watch their pockets and handbags when we kneel and pray. No one goes to the mosque these days in a pair of shoes he cannot afford to lose. As things at present stand, Nigeria is a country that is alienated from her true greatness by her leaders. Nigeria is underachieving today because it is under the firm grip of a circle of elite who have continued to monopolise and manipulate the power and wealth of the Nigerian State since the fall of the First Republic. That is why anyone who is seriously concerned about the Nigerian situation will be hard put to explain how and why a nation that is so richly endowed would find its citizens living with some of the most inhuman conditions in the world. In the last few years, despite claims of being a growing economy, the standard of living in Nigeria has continued to plummet to the ground dramatically. Interestingly, this fall in the human condition seems to have created a fertile environment for the emergence of the kind of deep spirituality that has ironically placed our country on top of both the most religious and corrupt nations of the world. This leadership deficit has turned Nigeria into a republic of mediocrity, a distorted space, where excellence and hard work have no positive correlation with success. What should be the common good has today been sacrificed on the altar of primordial ethnic, regional and religious sentiments. There is no longer any notion of commons, as such, there is no longer common responsibility for the common good. Without a sense of common values, there cannot be common good or common responsibility. What we direly need is a sense of common values to hold society together; a sense of values by which we can all agree that whatever is right is right and whatever is wrong is wrong, irrespective of the actor. When we, the citizens, adopt an attitude of indifference and cynicism to public life, we end up with a society where public officials can do anything and nothing will happen to them. Many centuries ago, the Greek philosopher, Plato warned: “The price good men pay for their indifference to public affairs is to be ruled by evil men.” A society that does not reward good deeds and punish bad deeds is destined for eventual collapse. Thus, fixing broken windows is crucial to the restoration of law and order in our society.